In close partnership with school faculty and administrators that use Firecracker in their programs, we share many different views of student activity on our platform. One recent report analyzed student's level of cognition using both Bloom's Taxonomy (revised) and Webb's Depth of Knowledge (DOK). 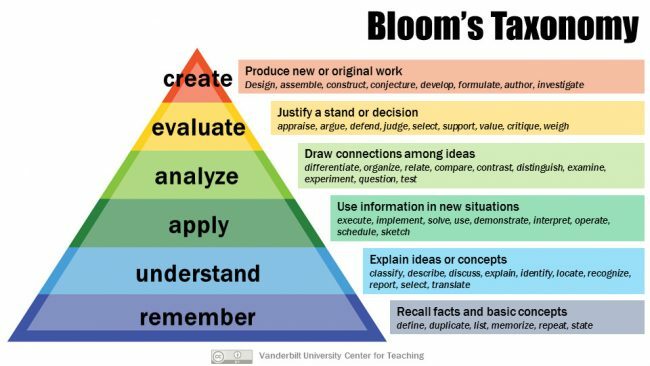 If you are unfamiliar with either of these, Bloom's was intended to write learning objectives for tasks with a focus on the verbs to classify levels of thinking using hierarchical verbs, while Webb's DOK aims to evaluate thinking processes with a focus on cognitive demand to identify depth of knowledge using a description of activities at various levels. This short video provides a concise comparison of both models. Providing our school partners with analysis like this helps them better understand both the performance of their students and the efficacy of their curriculum.